Parking starts at 5:00 p.m.
Concert starts at 7:00 p.m. He could be basking in his songwriting accolades, but Jamey Johnson remains a restlessly creative maverick. Jamey is the co-writer of the CMA and ACM 2007 Song of the Year "Give It Away," recorded by George Strait. Trace Adkins, George Jones and Joe Nichols have also recorded his songs. But instead of sitting at home counting his royalty checks, Jamey Johnson recorded more than 40 songs during the past year. "Writing is not enough for me," says this intense artist. "I did not come here to just be a writer. I live to play... I'm not here to take a stab at it. I am going to DO it." At the heart of That Lonesome Song is a trio of great story songs. The frank lyric of "High Cost of Living" paints a dramatic portrait of a man who hits bottom and winds up in prison. "Mary Go Round" is the cautionary tale of a woman who goes through a divorce and loses her moral compass. "In Color," the collection's first single, is the moving depiction of a man looking back at his life in black-and-white photographs. Making music comes as naturally to Jamey Johnson as breathing. He was raised outside Montgomery, Alabama in a family that was poor but highly musical. Like so many country musicians, Jamey first performed gospel music in churches with his father. ***Jamey has been recently nominated for three 2009 Grammy awards, including: Best Male Country Vocal Performance for "In Color", Best Country Song for "In Color", and Best Country Album for "That Lonesome Song". The Grammys air live on Sunday, February 8th at 7:00pm on CBS. 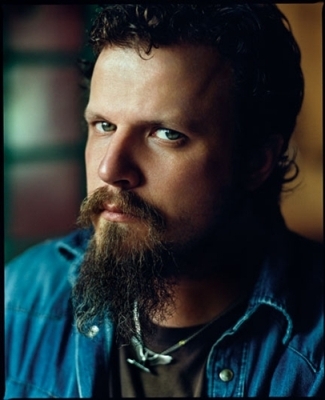 Check out Jamey Johnson's music and tour schedule at http://www.jameyjohnson.com/.